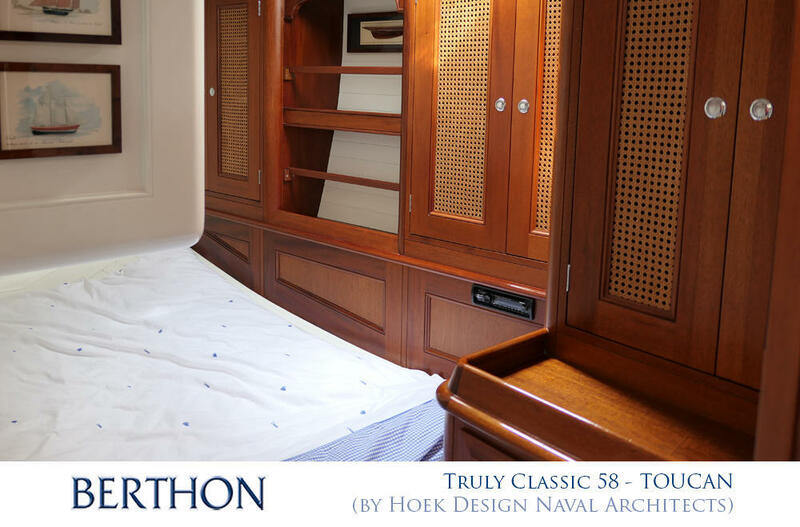 From 2001, with captivating good looks from Hoek and built by Holland Yachtbouw, Truly Classic 58 TOUCAN is a head turner from absolutely every angle. Purchased by her current owners, she then enjoyed a serious upgrade for 2 handed blue water cruising. Originally built for owners who cruised sparingly in the summer times, her current owners like to go cruising in Scotland and further north. 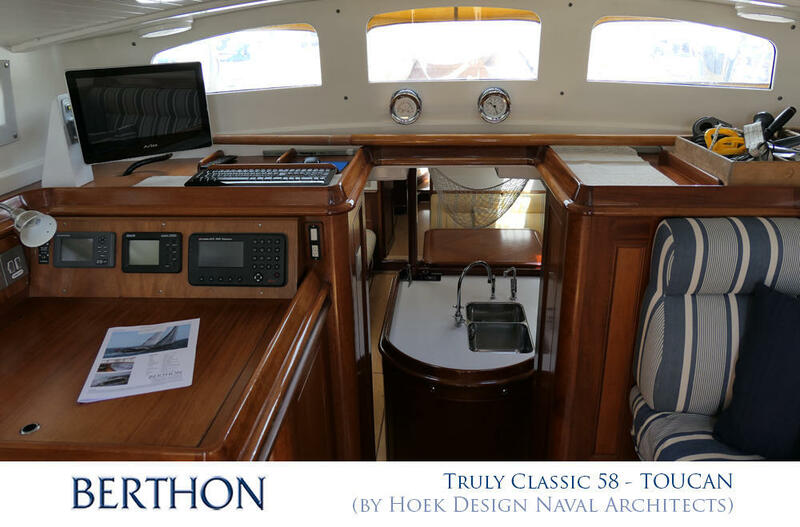 They chose her for her immaculate build, good looks and also for that wonderful pilothouse which makes watch keeping a civilised affair whatever the weather. It also makes cruising in less clement climes a joy as you can still enjoy the scenery and beauty in these exceptional waters – without getting wet! Her interior is executed in faultless mahogany and is light and airy as well as offering an intimate and cosy place to be. 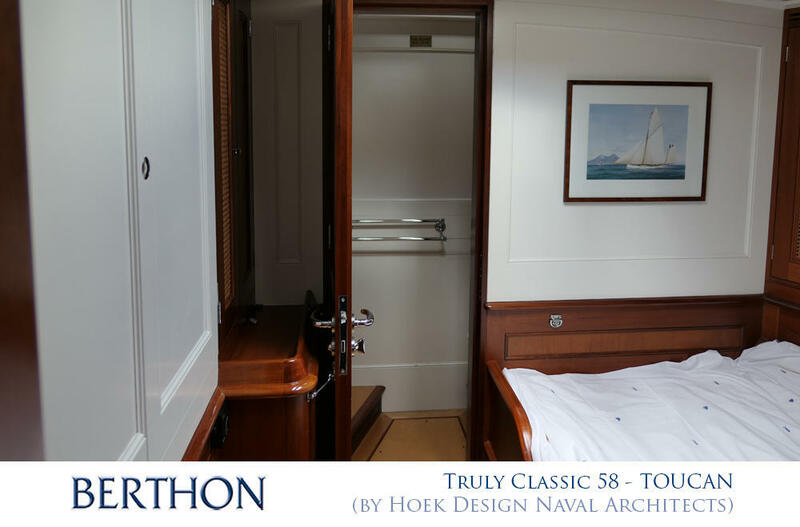 The owners’ and guest stateroom are generously sized and the cockpit is a proper sailing cockpit. She also has an epic hold forward with masses of storage. For these owners it was paramount that she could be sailed shorthanded so the sailing handling has been uprated to make this an uncomplicated affair. Below all the systems have been upgraded and replaced. Importantly, all have excellent access for easy maintenance which in turn brings total reliability with it. TOUCAN wintered ashore under cover last winter and the opportunity was taken to re-varnish all the exterior brightwork. 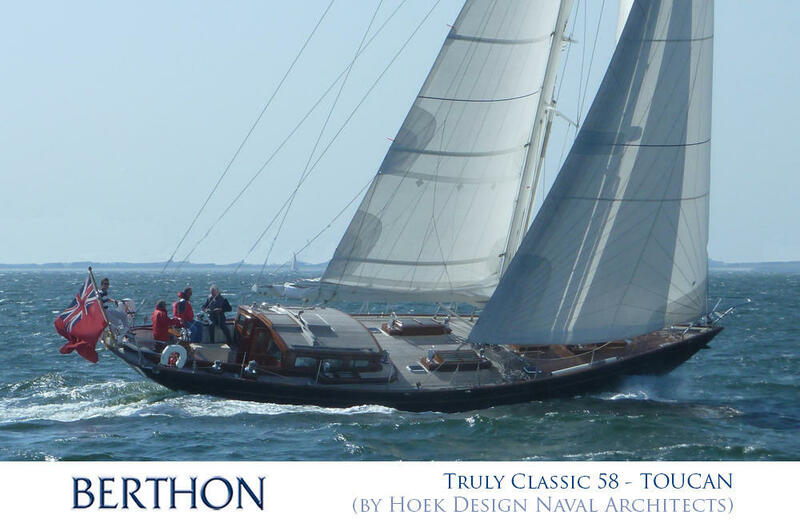 She is now with us at Berthon to be sold, and a price reduction is also included in the package. Contact sue.grant@berthon.co.uk for more information.